Emily Wazlak is the Founder/CEO of Shine Registry. By creating a space where women can make specific asks of their community they are more likely to be able to advocate for themselves and their work while reconfiguring the ways communities imagine their capacity for supporting women. Shine Registry has been a part of Carnegie Mellon's startup incubator, Project Olympus since 2017 and joined the incubator at Ascender in March 2018. Fulfill asks on other Shine Registry profiles! 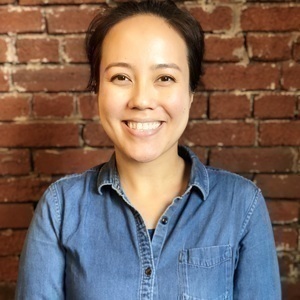 Recommend Emily to speak at conferences with themes relevant to the Shine Registry mission of empowering women who are starting businesses and building community support for female founders. Hang Shine Registry flyers up at your local coworking space and take photos so we can share on social media. Recommend interns for Shine Registry to work with!